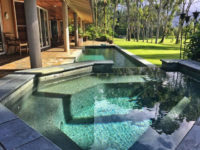 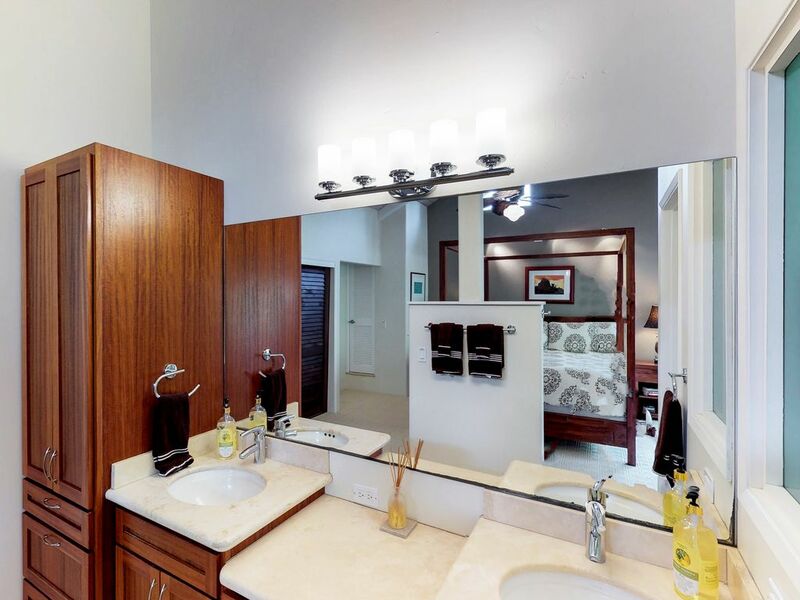 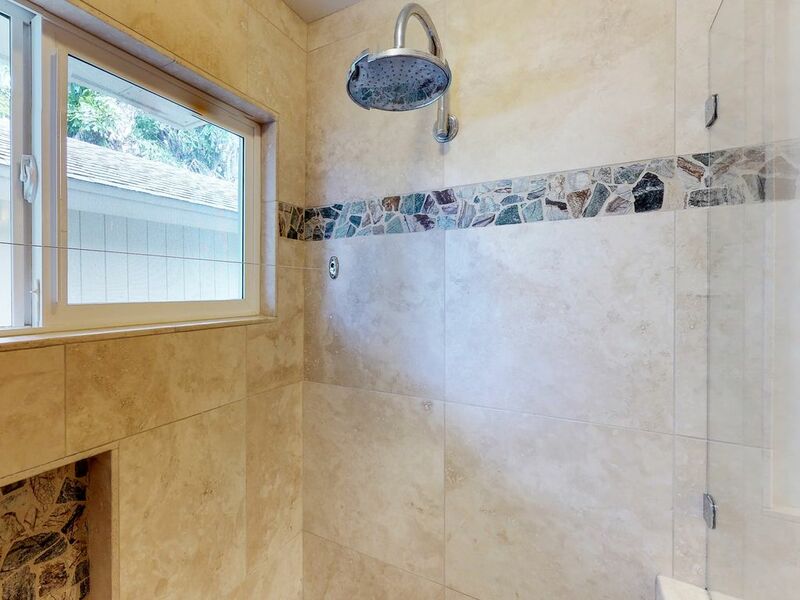 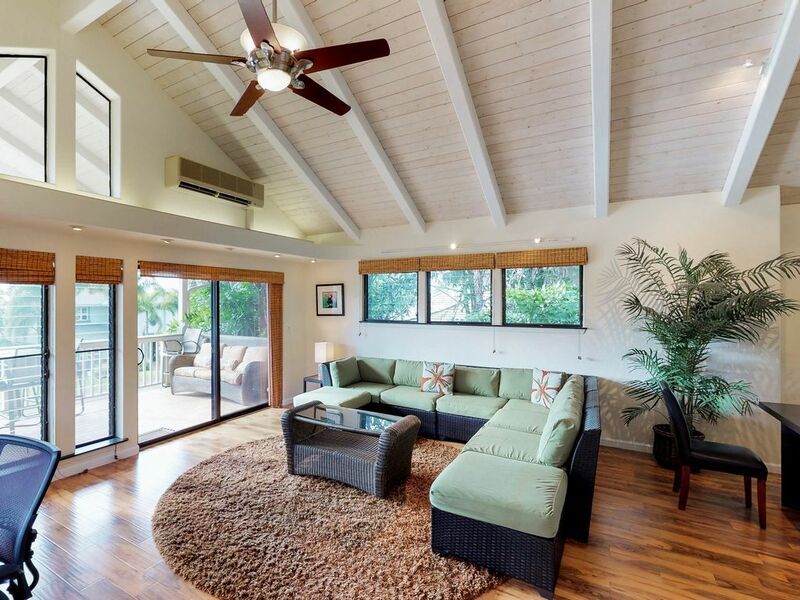 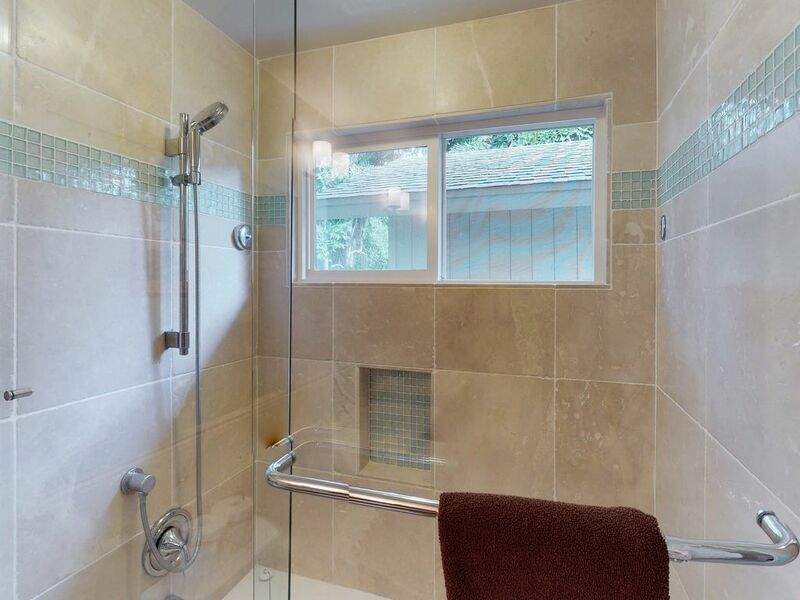 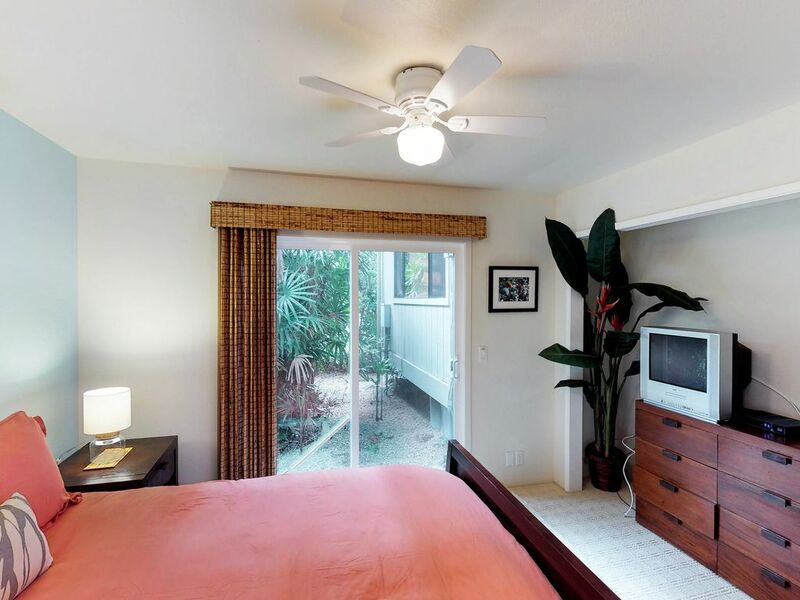 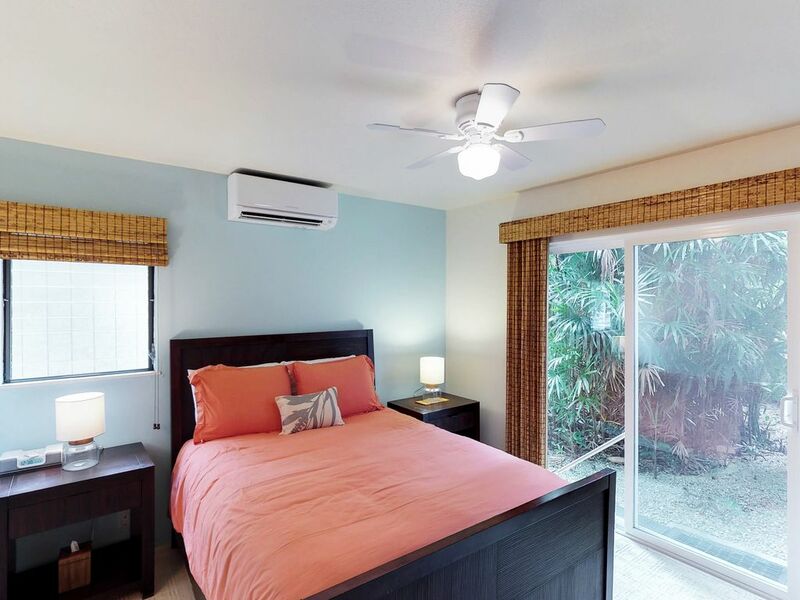 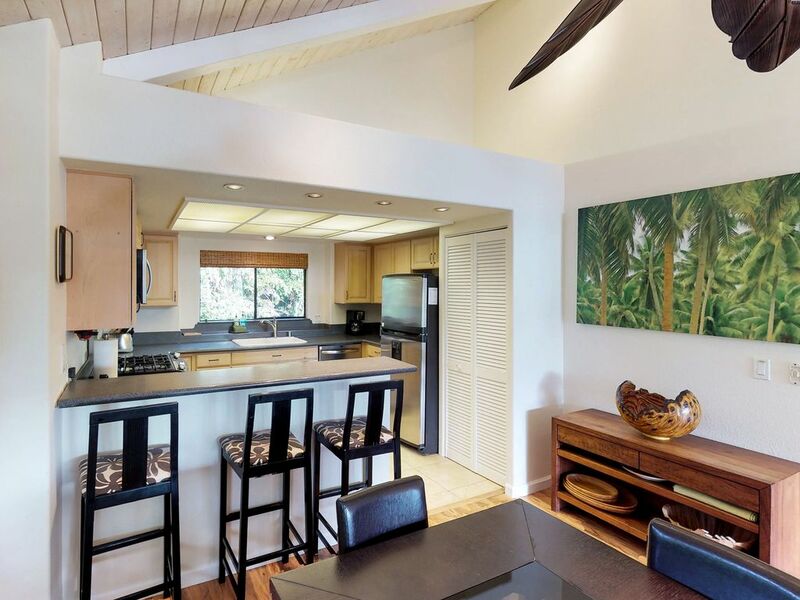 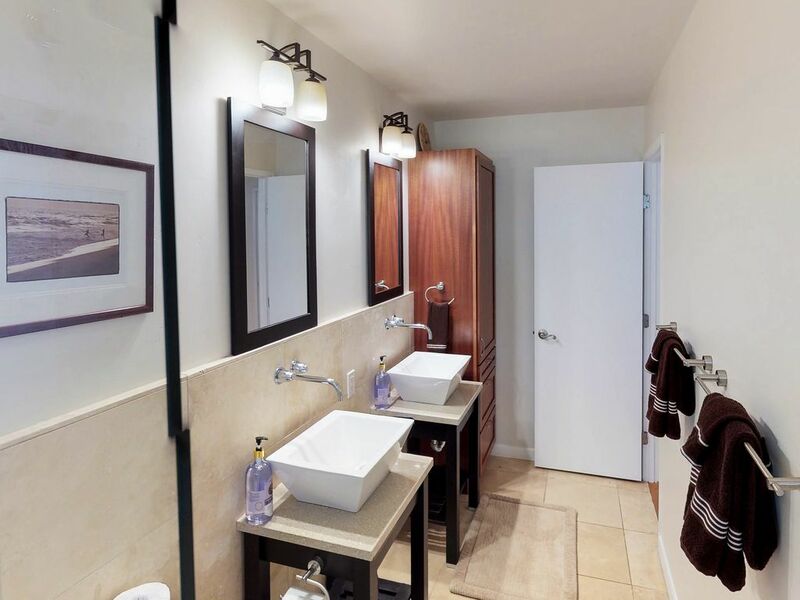 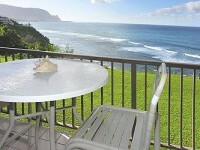 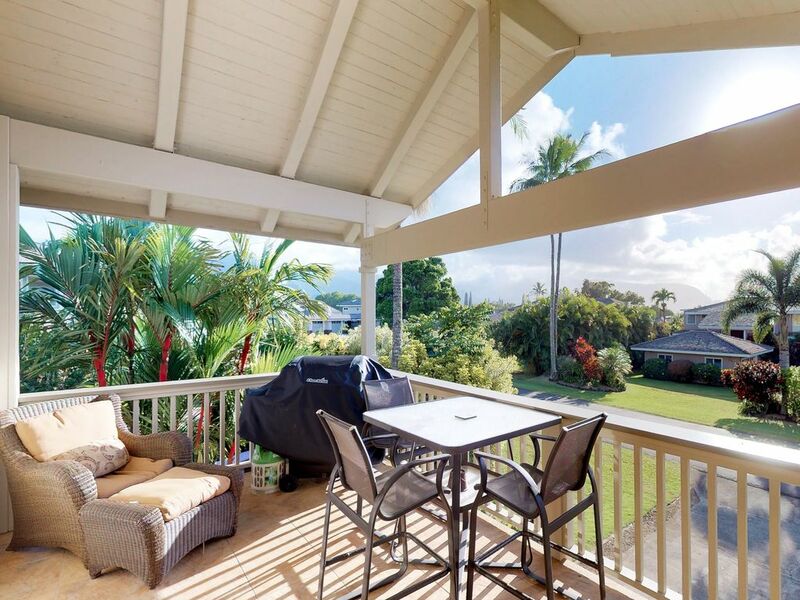 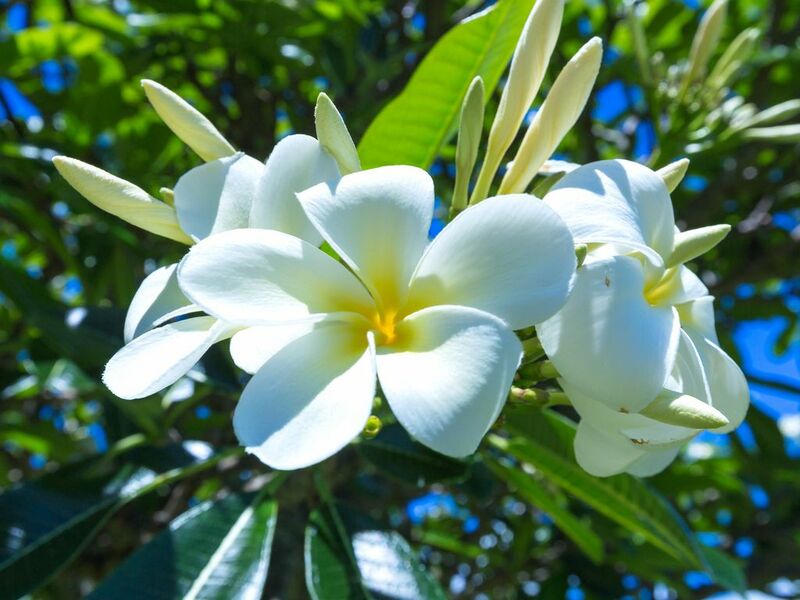 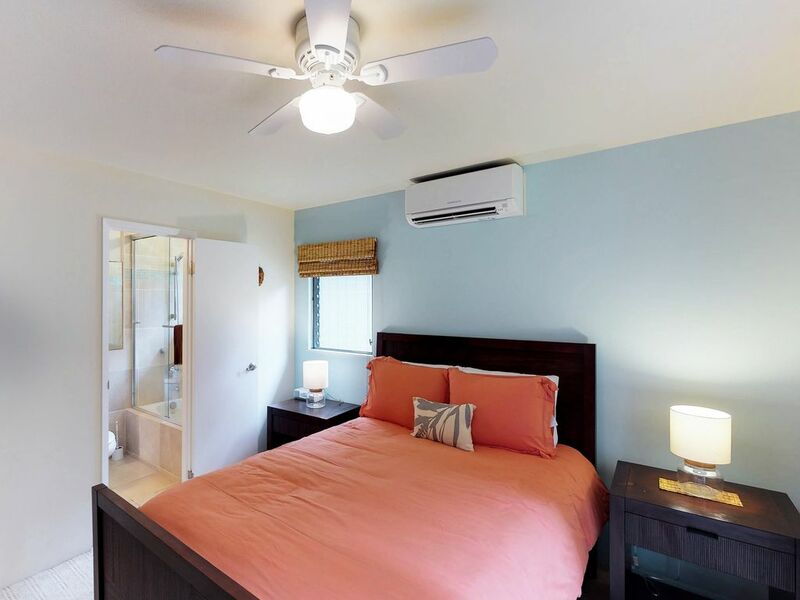 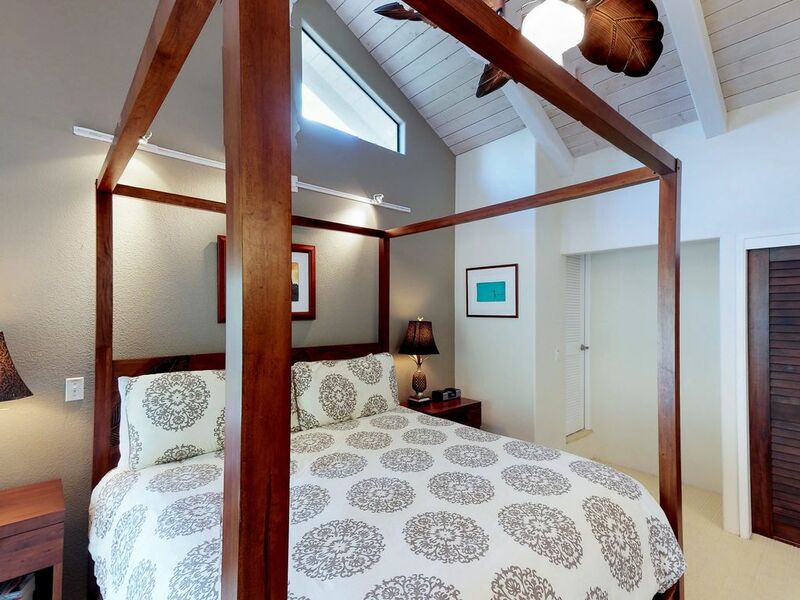 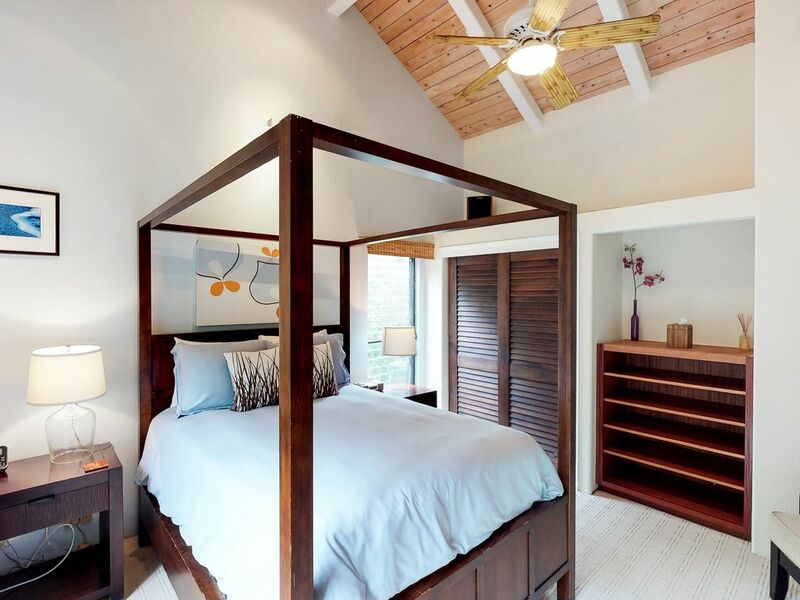 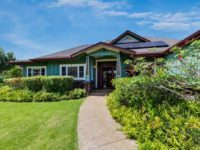 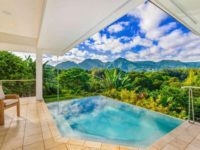 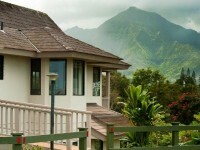 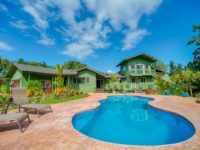 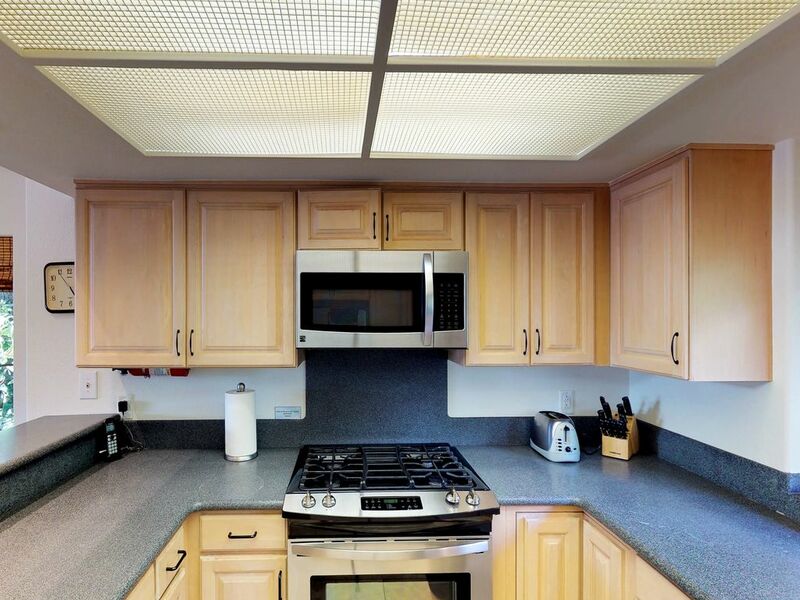 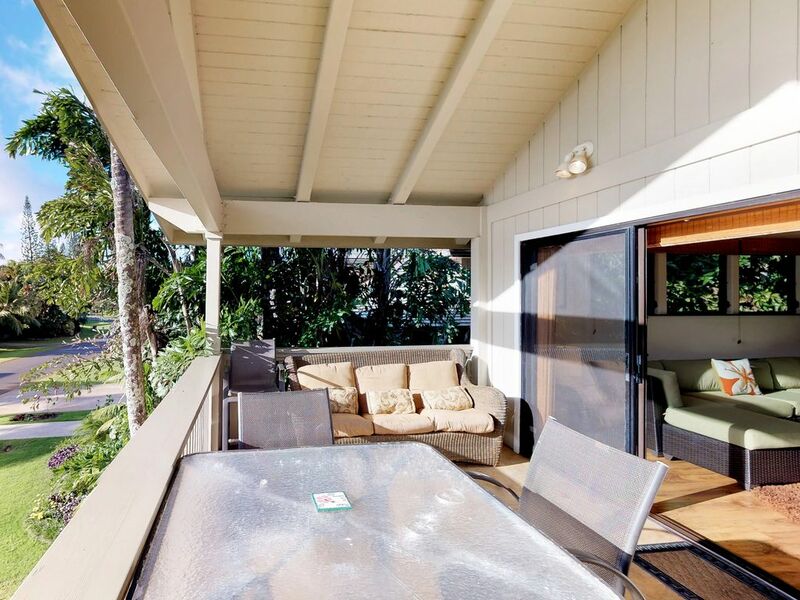 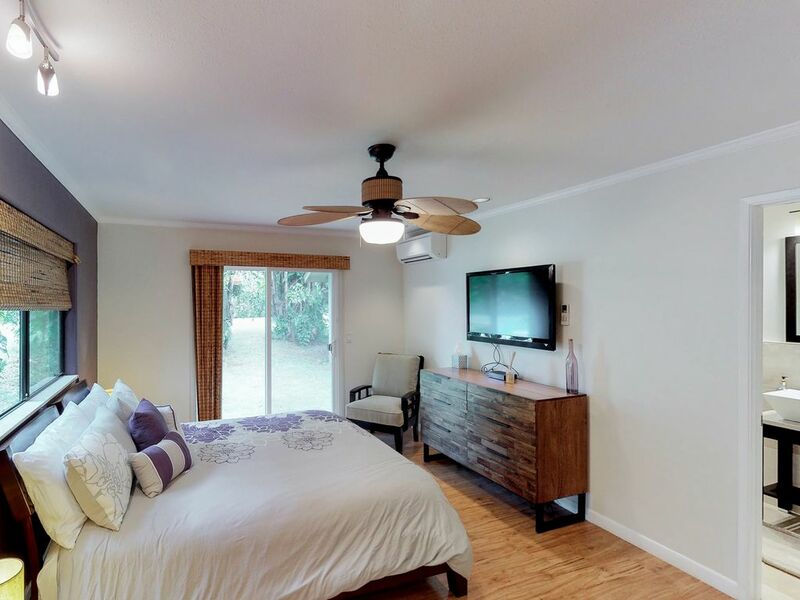 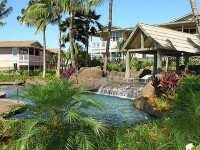 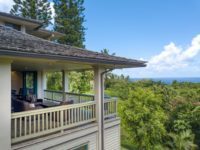 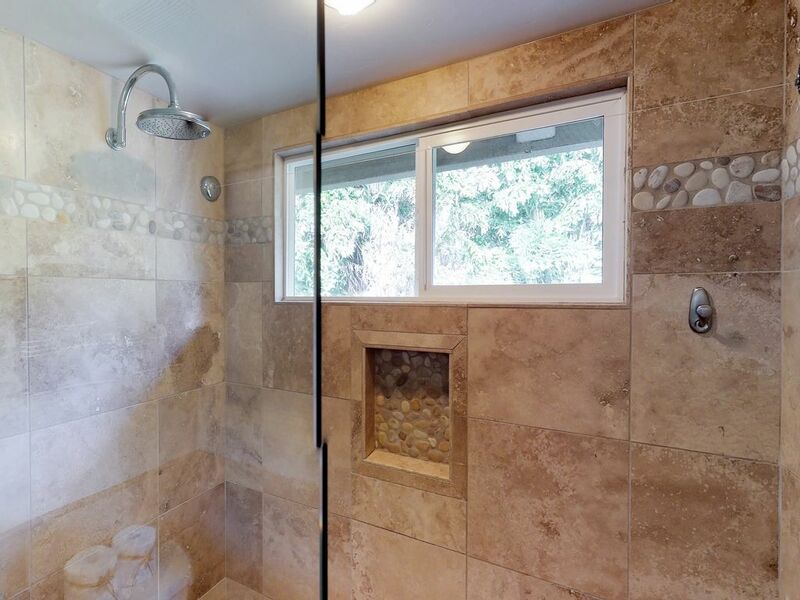 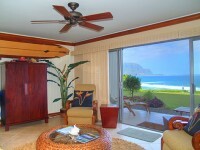 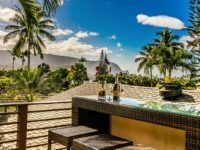 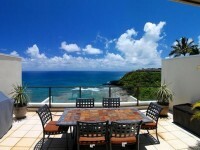 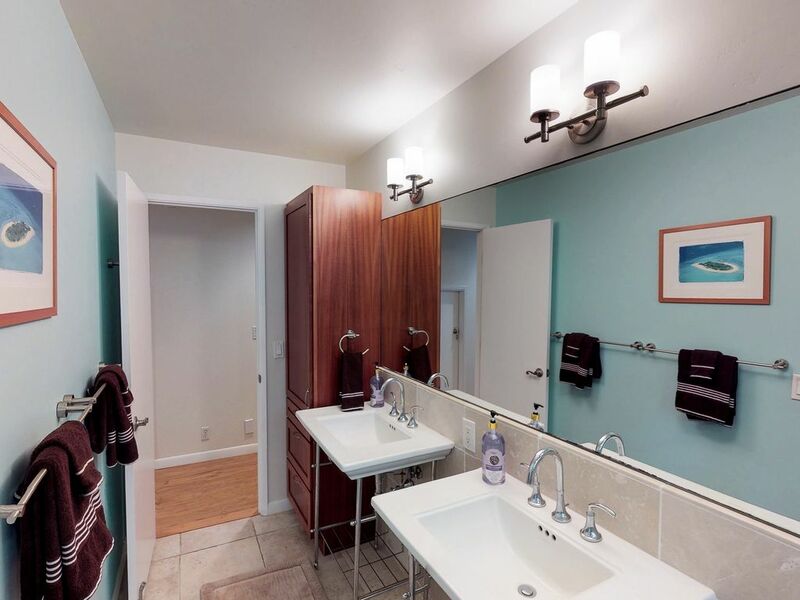 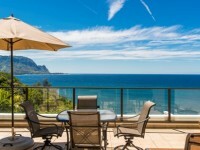 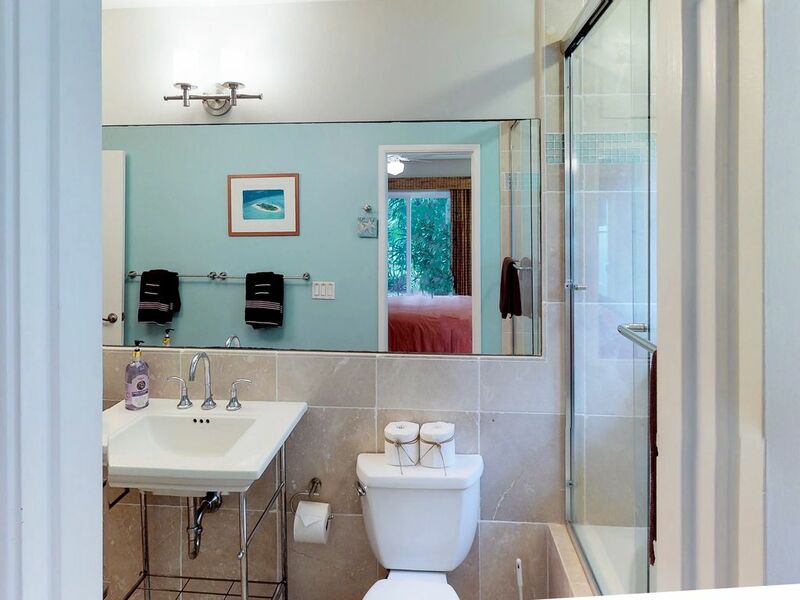 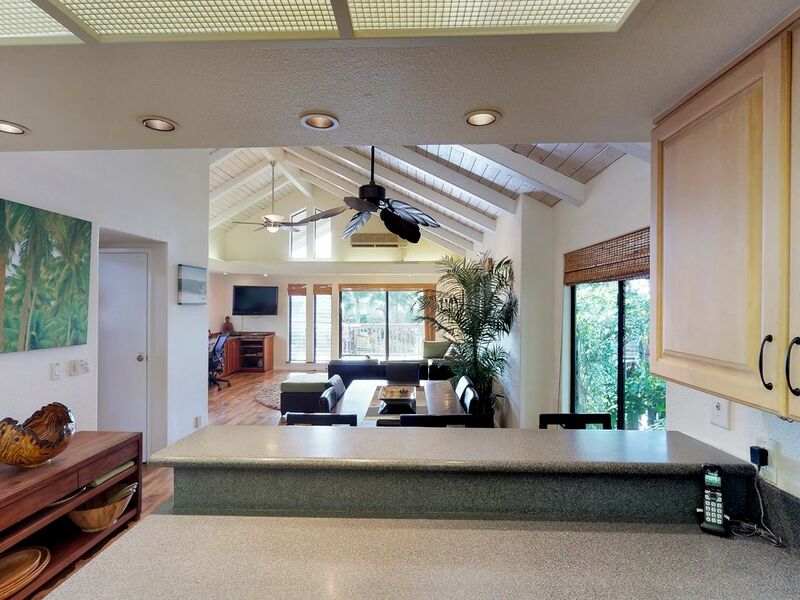 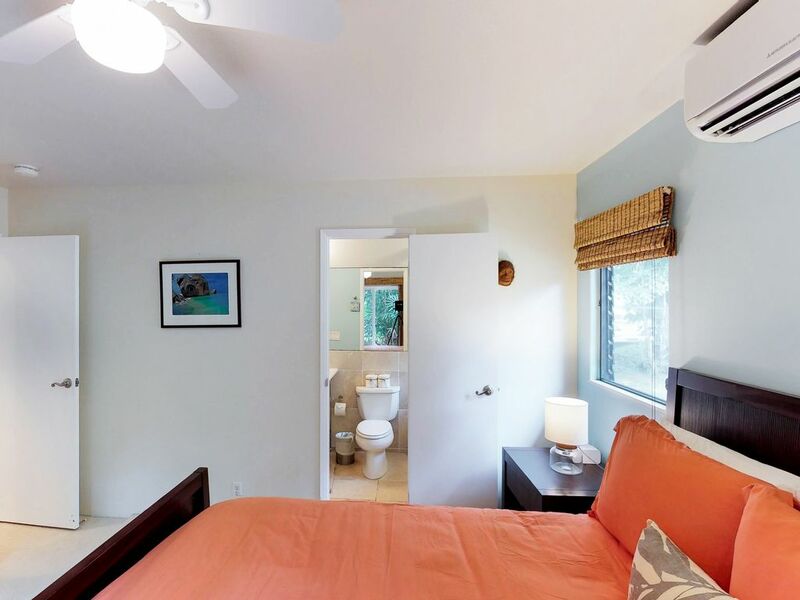 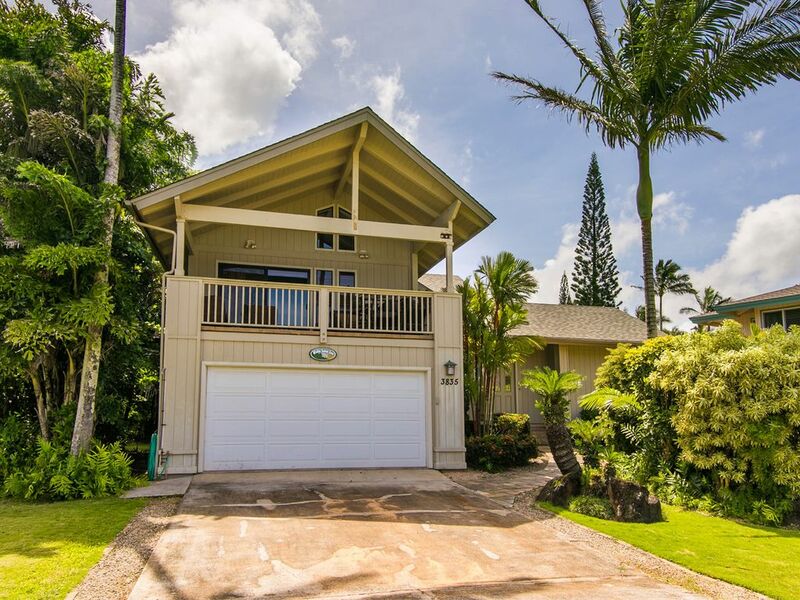 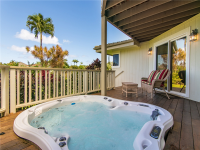 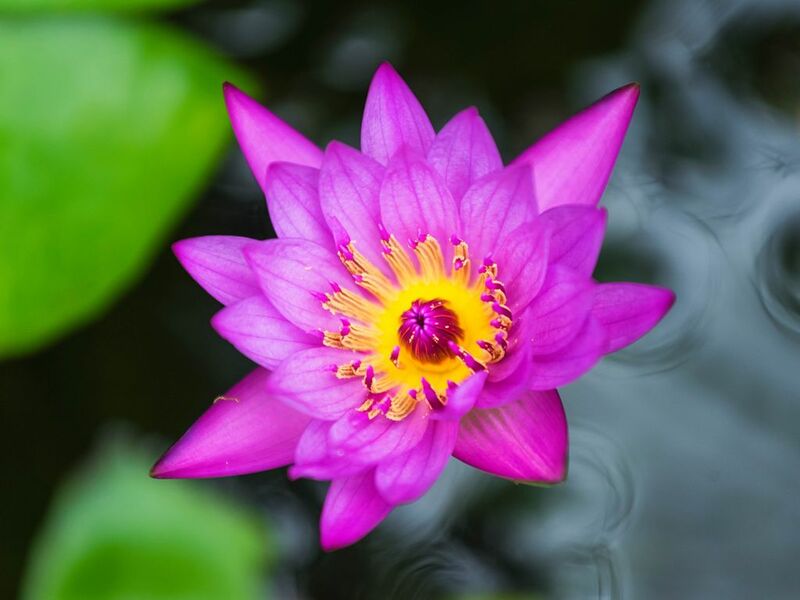 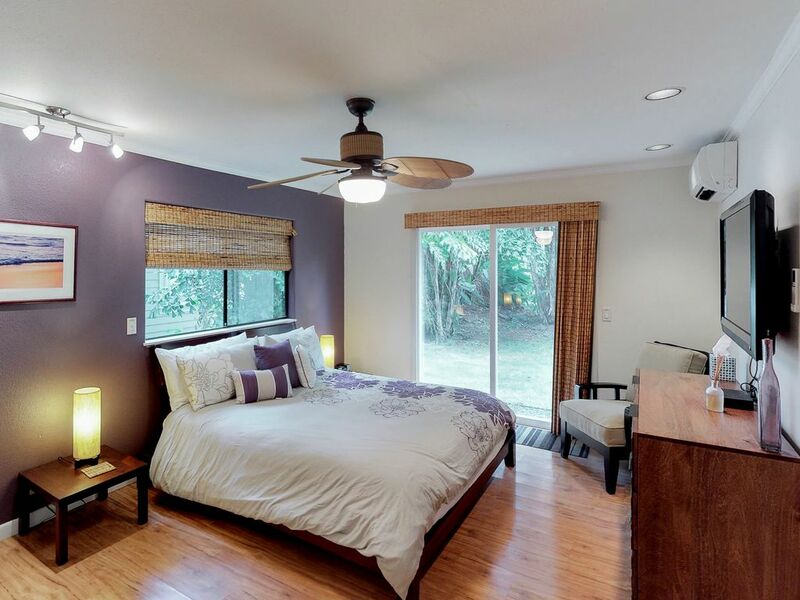 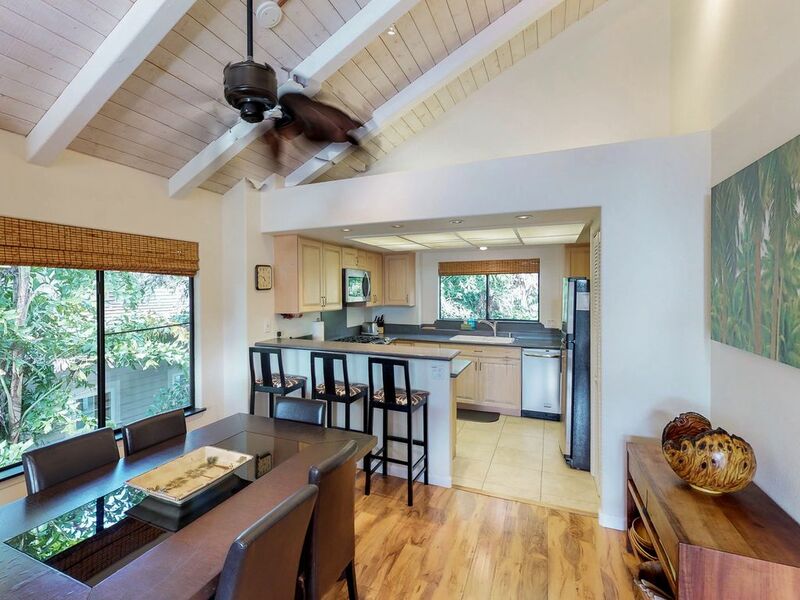 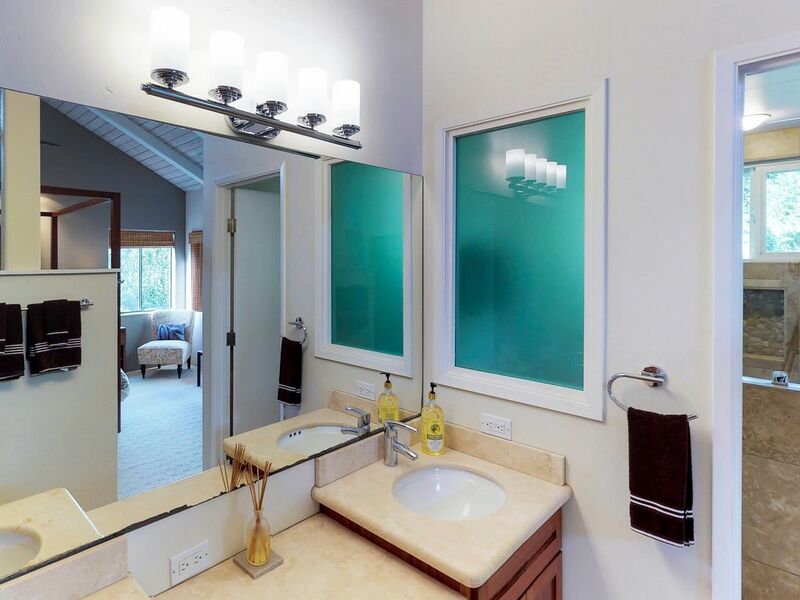 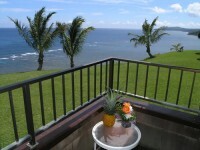 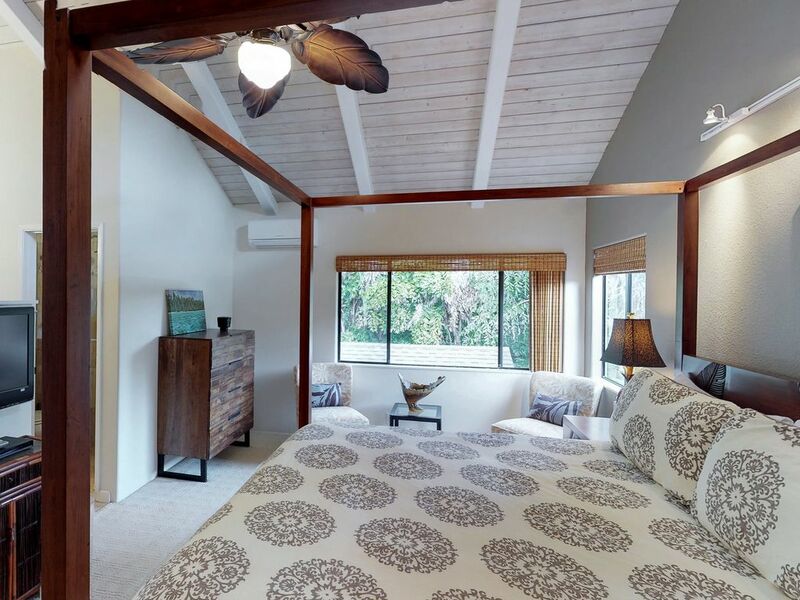 PRINCEVILLE, KAUAI VACATION RENTAL: This newly remodeled 4 bedroom home keeps you cool with air conditioning in every room. 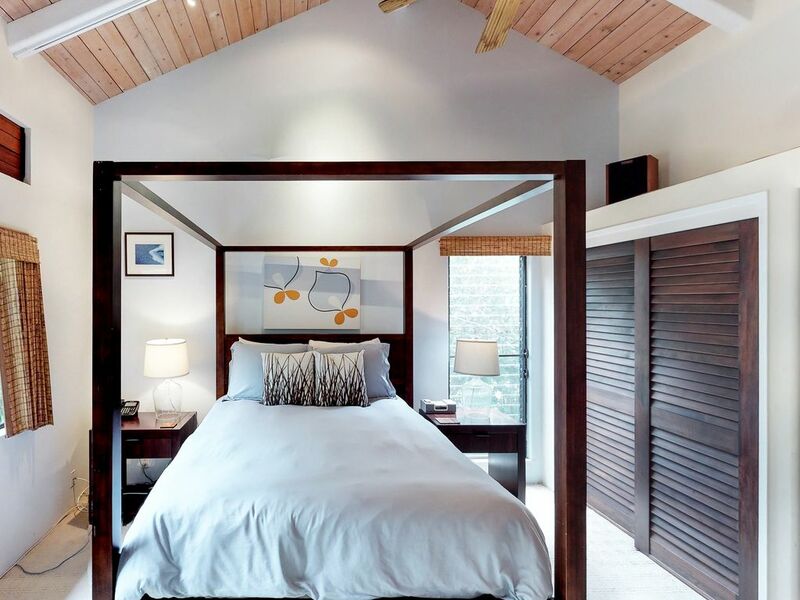 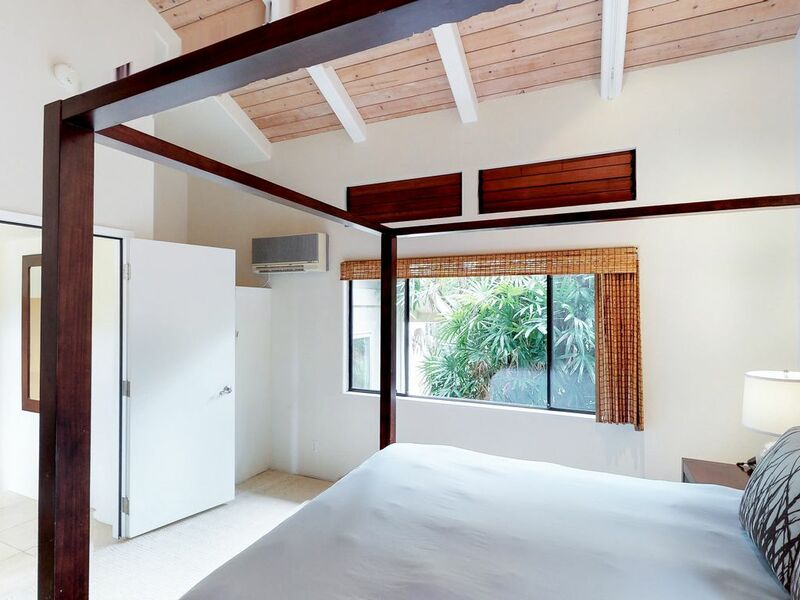 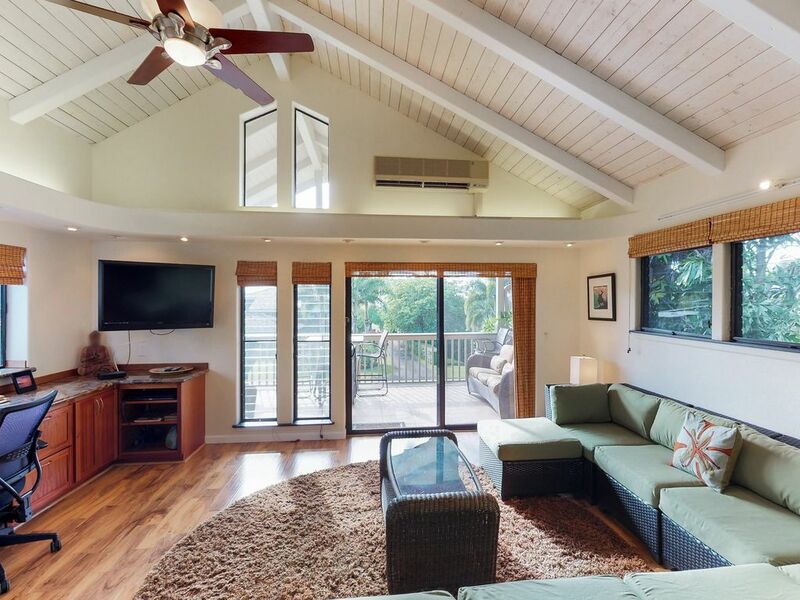 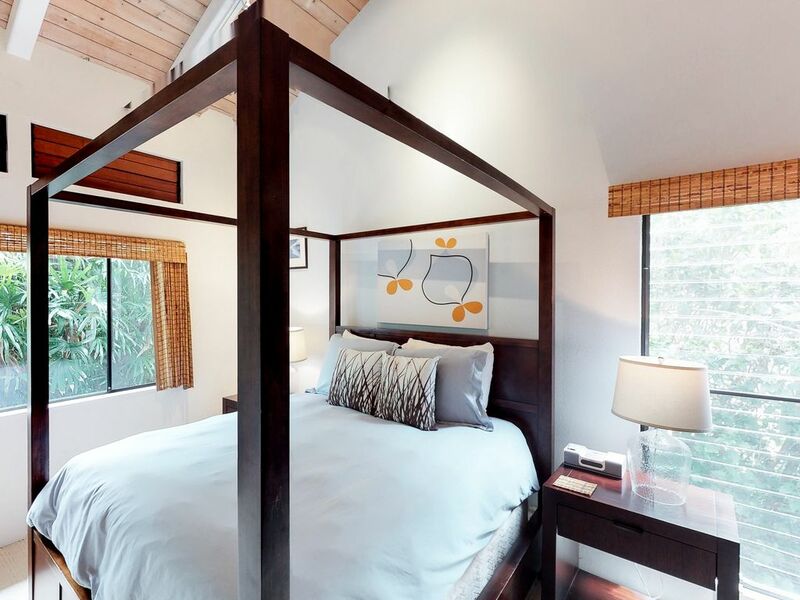 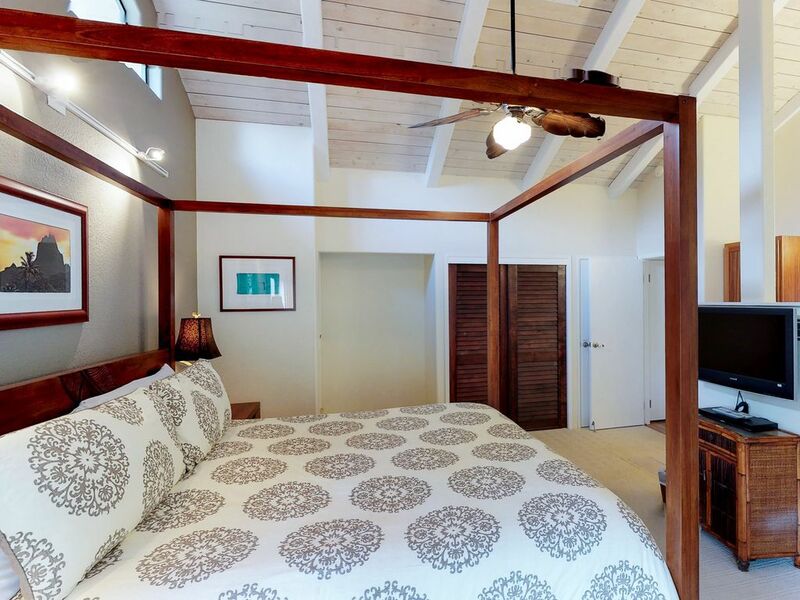 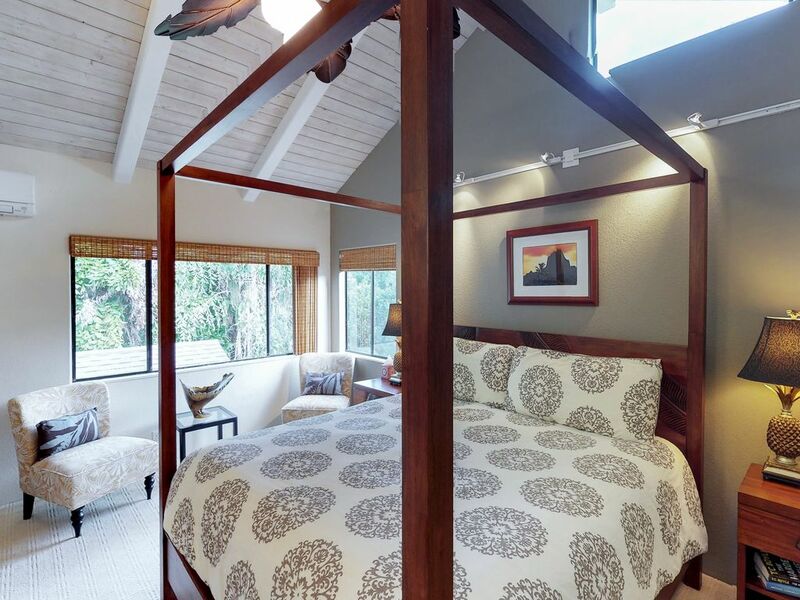 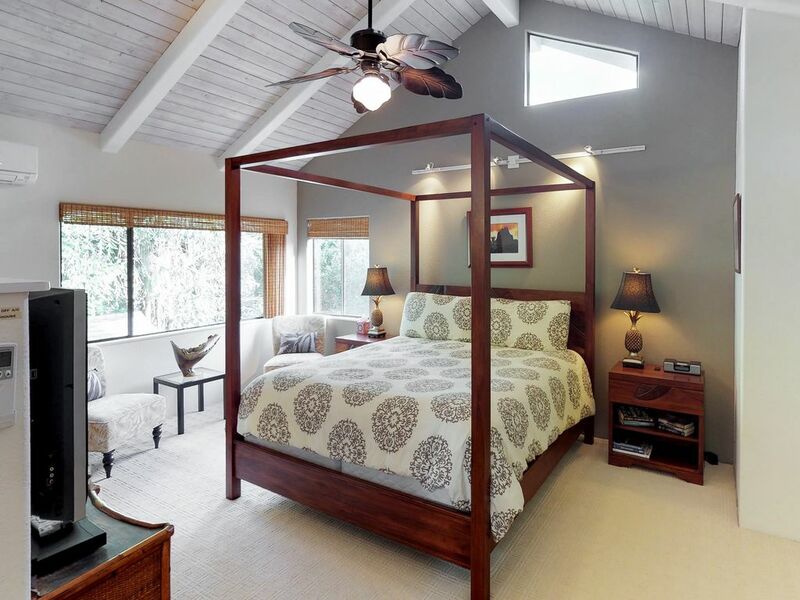 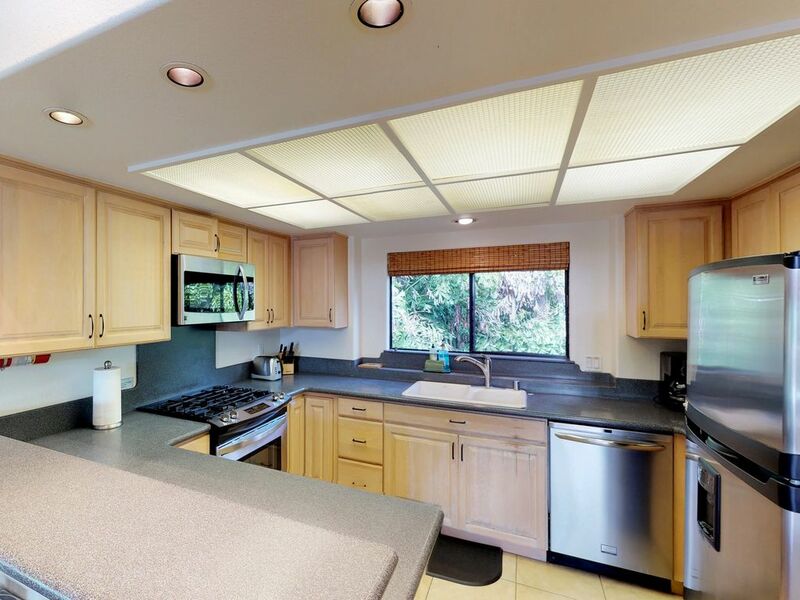 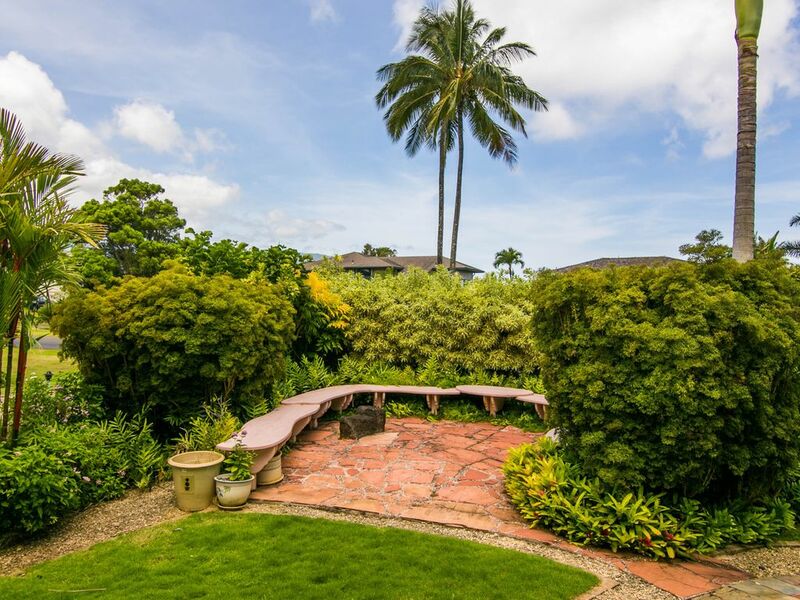 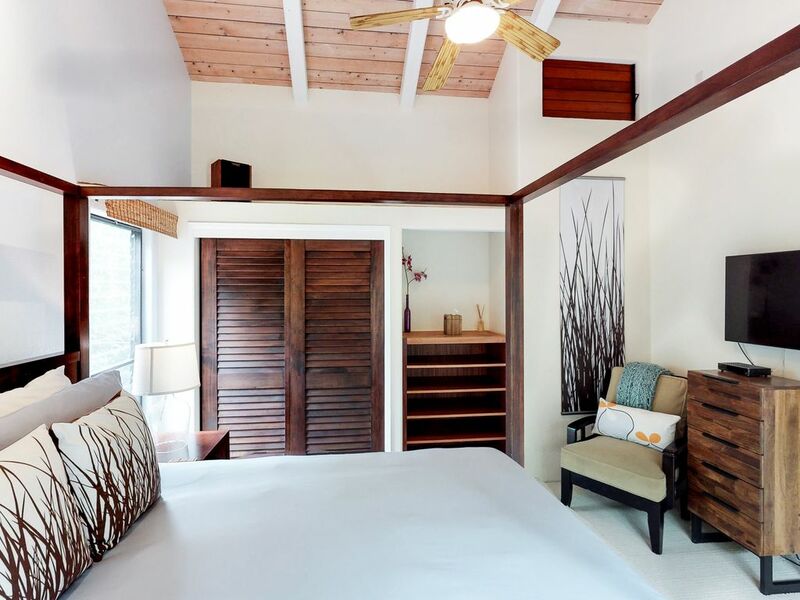 Located on a quiet Princeville street just steps from the spectacular Queens Bath trail head (see picture), this comfy home features 2 King master suites and 2 lovely rooms with Queen beds. 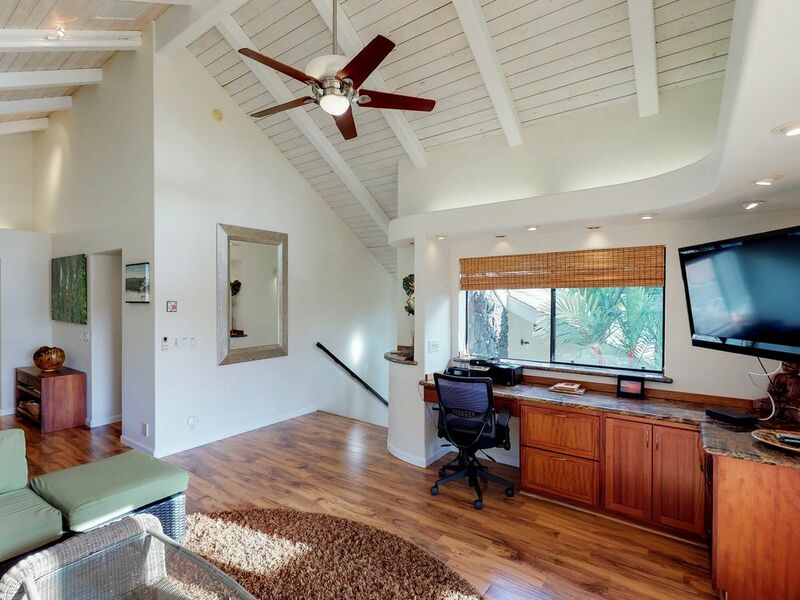 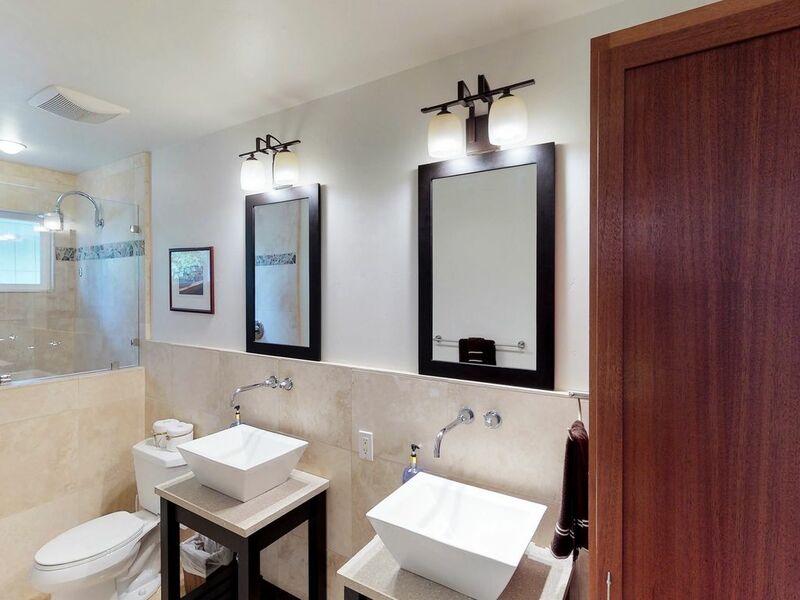 Inspired by the owners many stays at the Four Seasons, Hale Lei is contemporary, I-Pod ready, with 3 large Flat Screen TV’s and wireless internet throughout the home. 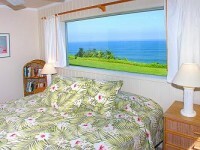 Every bed is quality/comfortable with cotton linens and great pillows. 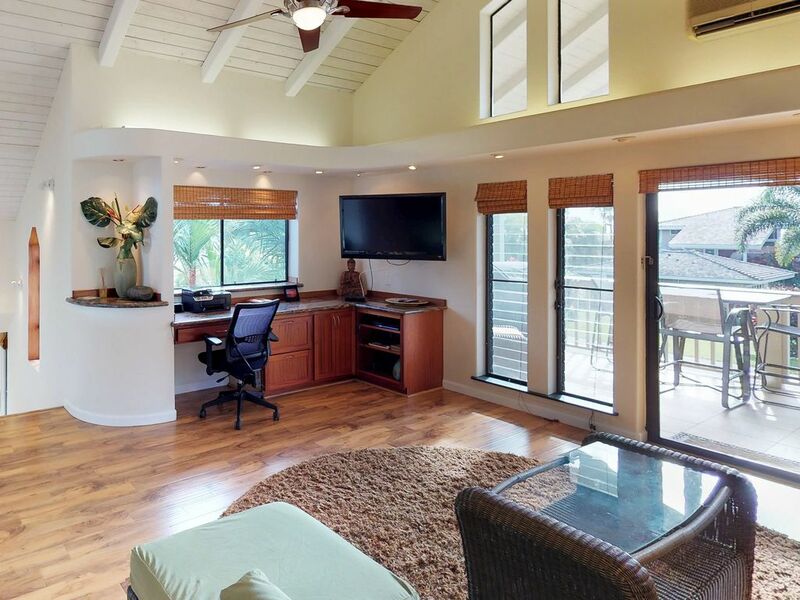 Bring your laptop or enjoy the new Dell computer with it’s widescreen monitor. 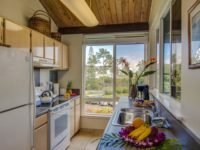 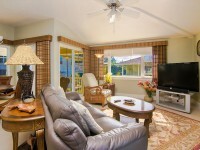 Listen to your Ipod or CD’s, watch DVD’s , enjoy the vast cable TV selection, or relax on the soothing lanai (with brand new furniture) with mountain and ocean views. 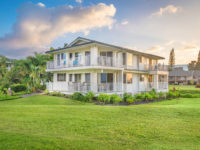 This home possesses a large flat backyard (to throw the Frisbee or football). 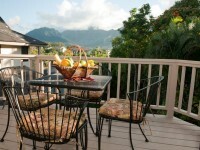 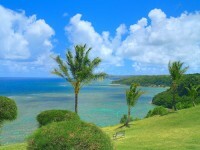 A short (easy) walk offers a spectacular hilltop, sunset view over the Bali Hai. 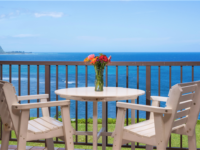 BBQ at home or dine at one of the many North Shore restaurants just minutes away. 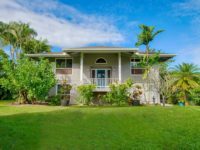 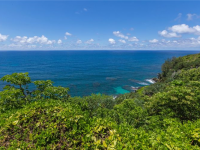 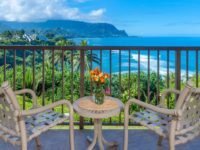 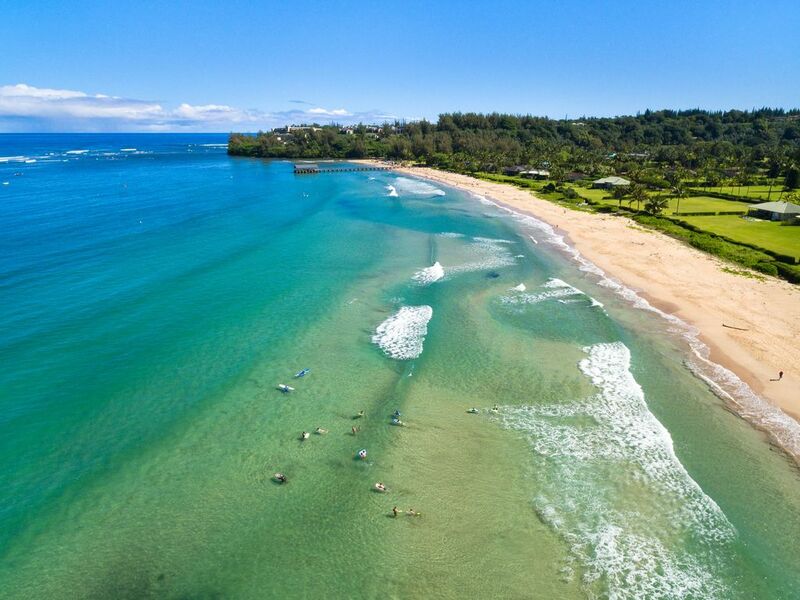 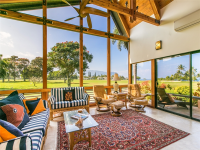 Close to Princeville’s award winning golf courses, shopping, numerous breathtaking beaches and adventures, this home is ideally located & appointed for your Kauai vacation!